The work of prolific mid-20th century developer and architect William Mellenthin is largely unknown outside of the greater Los Angeles area, where the builder erected more than 3,000 homes over an illustrious career spanning between three decades. 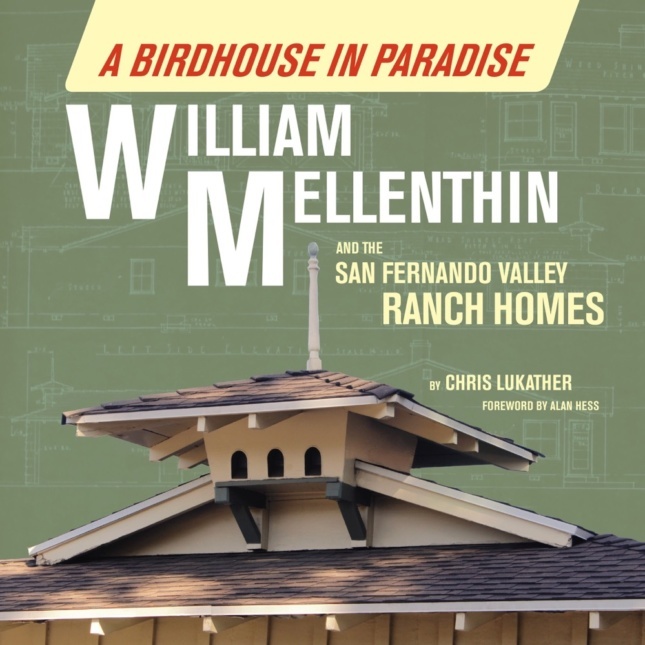 Mellenthin, the subject of an informative new book by historian Chris Lukather titled A Birdhouse in Paradise: William Mellenthin and the San Fernando Valley Ranch Homes, pioneered the distinctive “birdhouse ranch” style of the single-family home, a housing variant marked by the decorate application of pitched-roofed dovecote components, back-to-back fireplaces, board-and-batten siding, and other traditional stylings. With his development company—Wm. M.Mellenthin Builder—Mellenthin revolutionized single-family housing design in the city’s San Fernando Valley by delivering affordable new semi-custom homes in eye-catching styles. By combining the indoor-outdoor domestic spaces, rambling floor plans, and sturdy construction methods, the Midwesterner became a force to be reckoned with during the nascent real estate bonanza that engulfed the region in the immediate postwar era. Until recently, however, Mellenthin’s work had been largely forgotten due to its humble qualities and the ubiquity of the dovecote style in the San Fernando Valley, following the wholesale adoption of his “birdhouse” treatments by other contemporaneous builders. Nonetheless, interest in Mellenthin’s work is increasing, especially as real estate prices continue to climb around the region. West editor Antonio Pacheco connected with Lukather to talk about Mellenthins’s distinctive stylings, his most notable works, and the somewhat malleable nature of the homes he built. The Architect’s Newspaper: Who was William Mellenthin and why should architects care about his work? Chris Lukather: William Mellenthin was a prolific builder. He began building homes in Los Angeles in 1923, and built over 3,000 homes in Los Angeles and the San Fernando Valley. [He also] created designs for “Birdhouse” ranch homes that featured a cupola or dovecote built prominently into the roofs of the homes. The undeniable charm and curb appeal of these homes was very popular with home buyers, and, as a result, he created something of a trend. With returning World War II veterans, families wanted a home and lifestyle that epitomized leisure and fun. Mellenthin’s success brought many imitators. Today there are hundreds of “Birdhouse” homes throughout the Valley—many by builders who borrowed the cupola style. But there is only one original, and that is William Mellenthin. 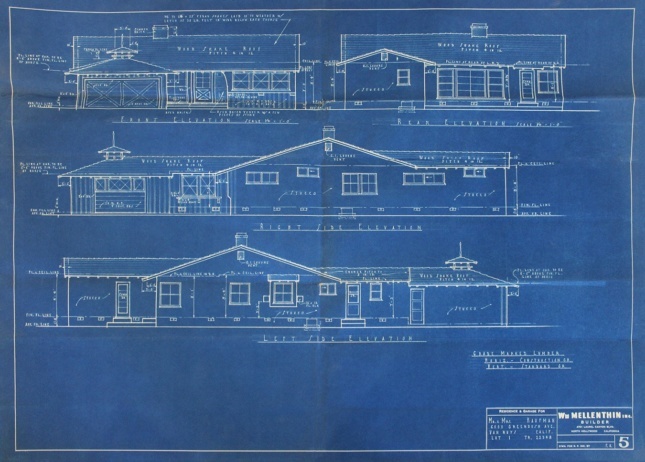 Mellenthin was one of several prominent architect-developers of the postwar era—Cliff May and Joseph Eichler are others—How does a Mellenthin home differ from other ranch houses of this period? Mellenthin homes were more “midcentury traditional” than midcentury modern. They featured diamond-paned windows, dual fireplaces, high beamed ceilings, hardwood floors, and wood paneling throughout the house. He usually built floor-to-ceiling windows in the rear of the house to allow more natural light into the home. One trademark of a Mellenthin home was how low it looked from the street. “The lower, the better,” was their motto. Most homeowners I meet today talk about the quality build of his homes. These homes were built to last. Most Mellenthin homes have withstood the major earthquakes, and fared better than other homes built during the same time. What are a few of his more notable works? His most notable work is in the Sherman Oaks area, [where he also designed] the layout of the streets. 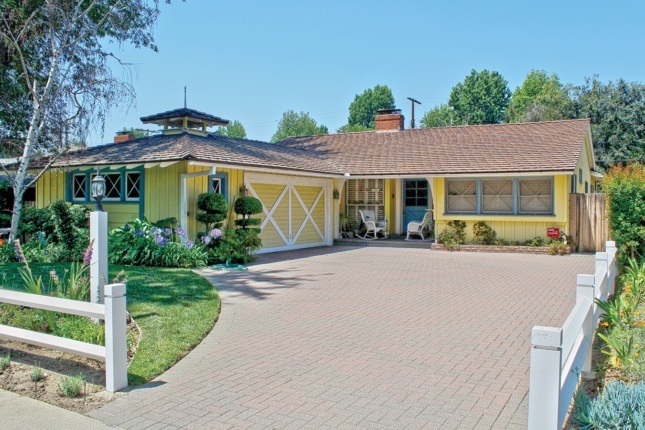 He created one development in the early 1950s, with only two entrances and nine cul-de-sacs, creating a private, exclusive area of beautiful tree-lined streets and homes. It’s like an oasis in the Valley. These homes, in a variety of styles and sizes, make up the prime Mellenthin development of the era. 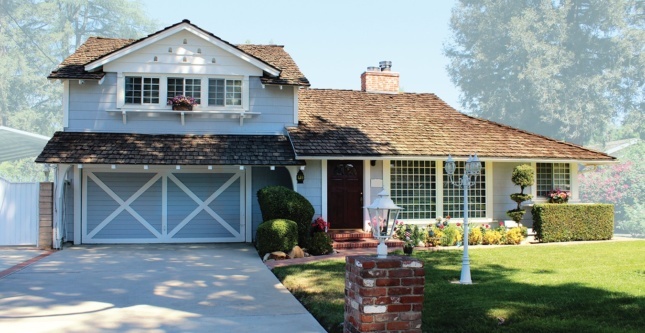 He [also] built many custom homes in the hills above Studio City, south of Ventura Boulevard. 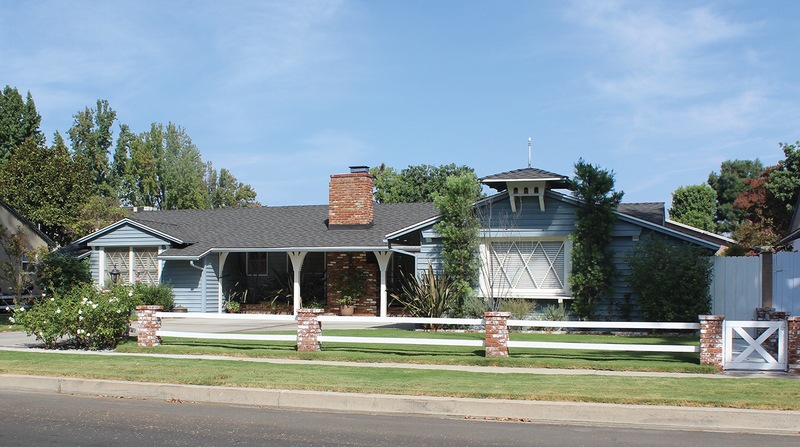 These homes had unique features, and custom-designed cupolas that his homes on the Valley floor usually did not have. 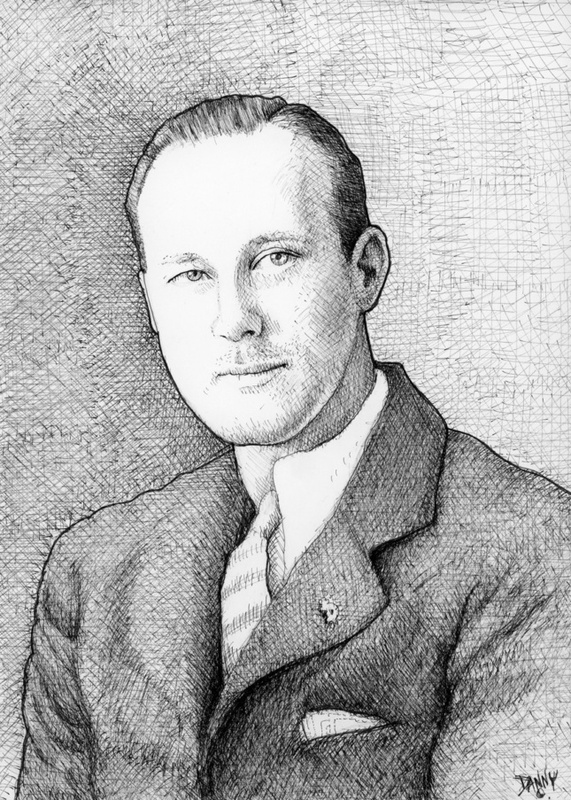 You mention in your book that Mellenthin’s son Michael continued the family business and even worked on projects with the architect Cliff May after the elder Mellenthin’s death. What direction did Michael take Wm. Mellenthin Builder when he was in charge? Michael went to the University of Southern California and received a degree in Engineering. He began building homes in the mid-1950s, joining his father’s company and continued working through the 1970s. The family business officially closed in 1978. Although William is known for the quality build of his homes, Michael is known to have built homes better than his father. In the early 1960s, Michael built homes with a more midcentury modern style, and eventually phased out the “Birdhouse” design. Michael also built some commercial buildings in the Valley. Mellenthin worked to provide his clients semi-custom homes—Did he himself envision the buildings as remaining static over time or did he consider them malleable? Mellenthin’s homes were built to suit, so I don’t think he envisioned a lot of remodeling or updates to the homes later on. What would Mellenthin make of some of the changes that some owners have made to his structures? I’m sure he would not be happy with some of the second stories that have been added to his homes today. [However,] a lot of homeowners have knocked out the walls that separate the kitchen from the den or living room. I’m sure he would have welcomed these changes that help create a more open floor plan.